Are Bhajans an Expression of Fundamentalism? The shiva bhajan is a genre of music deeply rooted in the Indian language. Bhajans are purely devotional, truly divine, simple songs in soulful language expressing love for God, a complete submission or self-surrender to him through singing. The origin of the bhajan genre is found in hymns from the Sama Veda, the fourth Veda in the Hindu scriptures. Bhajans are distinguished from the Sanskrit shlokas (hymns that accompany religious rituals) by virtue of their easy lilting flow, the colloquial renderings and the profound appeal to the masses. They are sung by a group of devotees following a lead singer and the fixed tunes and repetition of words and phrases lend a kind of tonal mesmerism. Bhajan subjects include anecdotes, episodes from the lives of Gods, preaching of gurus and saints, and description of God's glories. Another form of the bhajan is the kirtan, or songs in the Haridas tradition. The bhajans genre has adapted greatly since its beginning, as it built of home for itself in the human heart. Various traditions of bhajan-singing have been formed over the ages, including Nirguni, Gorakhanathi, Vallabhapanthi, Ashtachhap, Madhura-bhakti. Each sect has their own set of bhajans and their own way of singing them. The medieval age saw devotees like Tulsidas, Surdas, Mira Bai, Kabir, and others composing Bhajans. In the modern times, composers like Pt. V. D. Paluskar and Pt. V. N. Bhatkhande have mingled the melodies of bhajans with Raga Sangeet or Indian classical music – formerly the exclusive domain of the elite – thereby democratizing the Raga tradition. The appeal of bhajan-singing for the people may be because these traditional methods of invoking the divine can have tremendous stress-removing benefits. Bhajan mandalis (a gathering to sing bhajans) have been in existence in the Indian villages since the beginning of the Bhakti era, and are a great social leveler in which people set aside their petty differences as they unhesitatingly participate in the singing. Such participatory action is recreational and leads to a kind of mental relaxation. Participants close their eyes to ensure that they concentrate and thereby meditate on this near ecstasy. The words, tunes, rhythms and the typical repetitive style of the bhajans give a certain sense of permanency that is known as shashwat (freedom from the state of flux). Those worried about the spread of religious fundamentalism often aim their attacks at any religious devotional gathering as a target for criticism, even such simple expressions as the singing of bhajans or other popular devotional songs of the masses. However, to suspect that this trend of devotional singing may be in any way related to the spread of fundamentalism is distorted thinking, as Bhajans are not remotely propagandist in nature. It is only when religion breeds the desire to dictate mass feelings and direct it to a preconceived end that it becomes fundamentalist, bringing communalism and destruction in its wake. Singing a bhajan or a 'qawwali' is a cultural expression without a political aim of any kind, and it is a mistake to equate them with fundamentalist aims. Celebrate Maha Shivratri with some of the best Bhajans or devotional songs dedicated to Lord Shiva from the Hindi music album Shiv Ganga (T-Series). These devotional songs are by famous Bollywood playback singer Anuradha Paudwal and other artists. Besides traditional bhajans, these hymns are written by Goswami Tulsidas and Suraj Ujjaini, and the music is by Shekhar Sen. Here's a rousing way to start your morning devotions. Nirguni ("to God without attributes") bhajans are associated with the Sufi saint-poet Kabir, who believed in the formlessness of god. The Ashtachhap, or Ashta Sakha, were the eight companions of Krishna, medieval poet-composers who were part of the Pustimarg sect of the Krishna cult and disciples of Vallabhacharya. Originated by Madiki Singa, the Madhura Bhakti ("bridal attitude to God") style melds bhakti rasa, melody and poetic fervor. There were written by followers of Guru Gorakhnath. 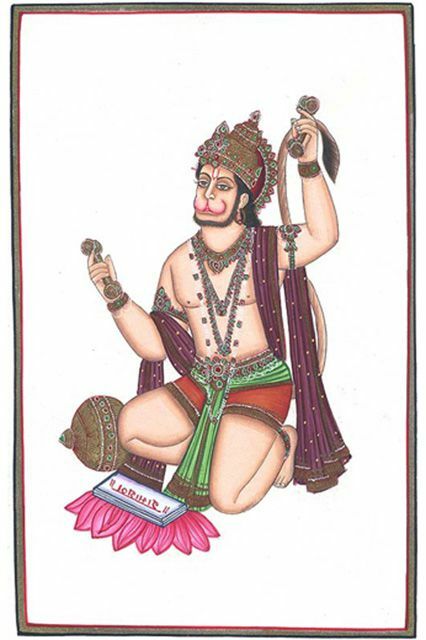 The Vallabha sect used music extensively in the practice of pushtimarg. 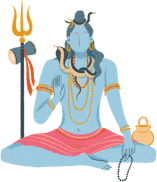 Sampradaya bhajans, native to southern India include both Kirtanas (songs) and Namavalis (song cycles to several gods sung in a specific order). Datta, Amaresh. Encyclopaedia of Indian Literature. Six Volumes. New Delhi: Sahitya Akademi, 1988. Print. Kesari, Vedanta. Living Imprints of Indian Culture. Mylapore, Chennai: Adhyaksha Press, 2014. Print.